YERUSHALAYIM – Personal items belonging to Yoni Netanyahu, Hy”d, at the time he was killed in the raid on Entebbe airport in Uganda in 1976, were returned to his family on Monday. Prime Minister Binyamin Netanyahu and his brother Dr. Ido Netanyahu received the items from Yosef Shemesh, who had kept them since he and Yoni served together on the Golan Heights after the Yom Kippur War. Among the items which the Prime Minister and his brother received were a commando knife, the Pesach Haggadah that Yoni read from, and which he mentions in his letters, his personal jumpsuit, books that he had given to Yosef Shemesh, a unit shirt, sleeping bag, gloves and compass. Entebbe airport was the scene of a hostage-taking and a rescue operation that ended on July 4, 1976, when soldiers from the Sayeret Matkal, Paratroopers Brigade and Golani Brigade units of the Israeli army freed over 100 hostages following a hijacking by a group of Palestinian and German terrorists. 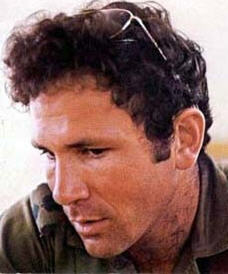 Netanyahu was the only Israeli soldier killed in the operation. No explanation was given for the long delay in returning the items.